COLOR: Dark in the colour, truffle slices of various sizes. 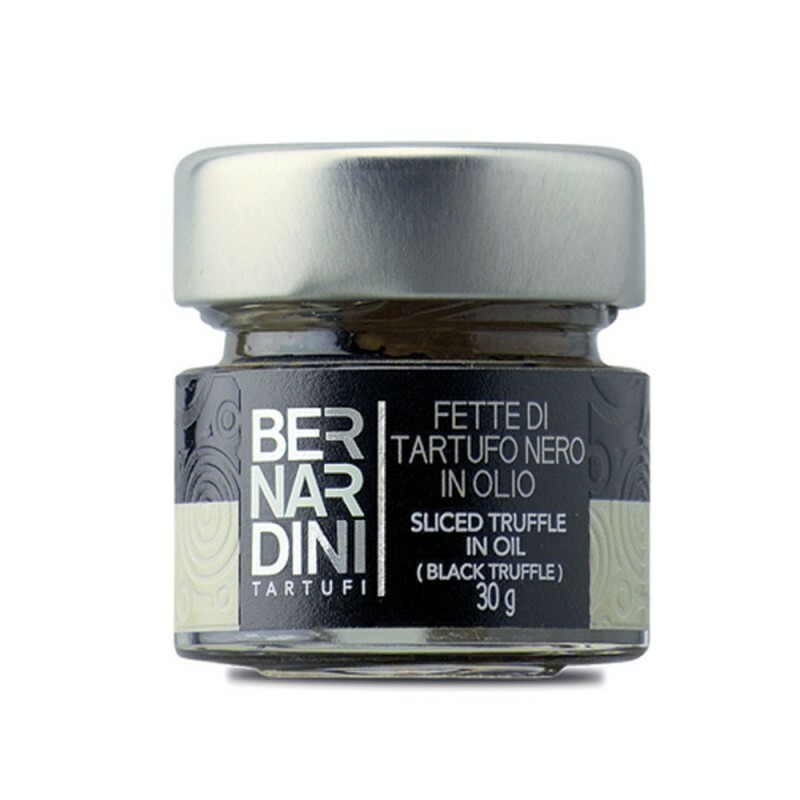 INGREDIENTS: Black truffle 50%: black truffle ( Tuber melanosporum Vitt. ) 30%, black winter truffle ( Tuber brumale Vitt. ) 20%, sunflower oil, salt, flavor. TASTE: Delicate and balanced flavor, typical of black truffle.